When a semi truck’s trailer skids, the trailer can swing around and form a 90-degree angle with the cab of the truck, an action known as “jackknifing.” Unfortunately, while the trailer is skidding, the driver often has little to no control over the vehicle, and the truck poses a threat to all other drivers, pedestrians, and individuals in the area. 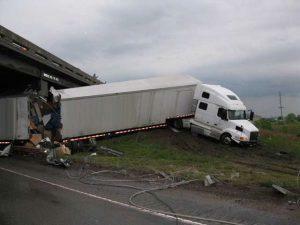 In many cases, jackknife accidents end with a truck rollover as well as serious, life-threatening injuries or death. Whether the jackknife accident causes a multi-vehicle pileup or the truck collides with another car while it is jackknifing, serious injuries can result. Unfortunately, jackknifing typically does not occur without a reason. In many instances, the problem lies with either the driver or the employer. For example, if a driver is traveling too fast for the weather or road conditions or if the vehicles are not properly maintained, he or she may be more likely to cause a jackknifing accident. Determining the cause can be important since victims may be entitled to take legal action to recover monetary damages from the party or person responsible for the crash. For this reason, it is important to seek experienced Georgia truck accident legal counsel as soon as possible because the trucking company may also be required to compensate victims for medical bills and other damages because the company may be considered responsible for the actions of its employees. Additionally, victims may also be entitled to pursue a claim against the owner of the cargo, the mechanic responsible for inspecting and maintaining the vehicle, government entities responsible for the condition of the roadways, and the owner of the semi truck itself. At Van Sant Law, we understand the complexities involved in semi truck accidents and how difficult this time may be for you and your loved ones. We will work to ensure you receive the monetary damages to which you may be entitled and help you to determine who should be held accountable for your injuries, as there may be more than one liable entity. Call our Atlanta truck accident attorneys today at (404) 991-5950, or fill out our free, no obligation online contact form and allow us to assist you in protecting your legal rights. While no amount of compensation can heal your injuries or bring back a loved one, it can help to relieve the financial burden that you may be facing.